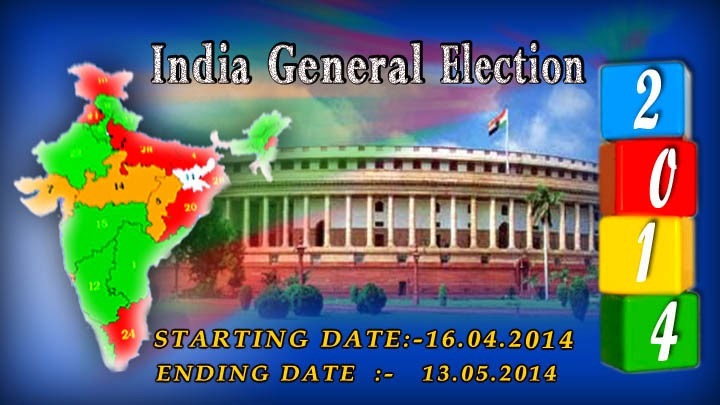 The general election will be held from 7th April 2014 to 12th May 2014 to constitute the 16th Lok Sabha in India. These will be the longest election in the country's history. Voting will take place in all 543 parliamentary constituencies of India to elect Members of Parliament in the Lok Sabha. The results will be declared on 16th May 2014. In Gujarat, the election will be held on 30th April, 2014 for 26 constituencies. Please check your name in voter id list available in all city civic centers. Go to this website and select your respective state & district and search your name.